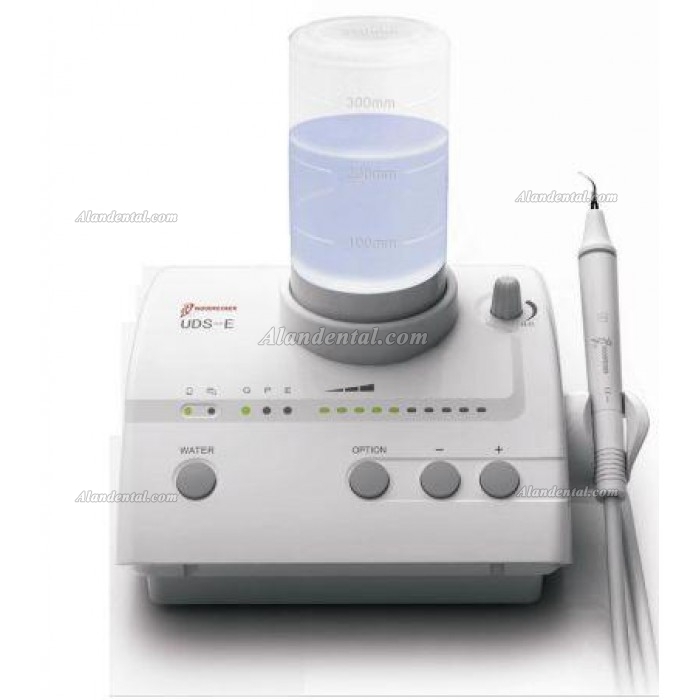 Buy Cheap Woodpecker® UDS-E Ultrasonic Scaler form Alandental.com|Dental Equipment for Sale! 1. 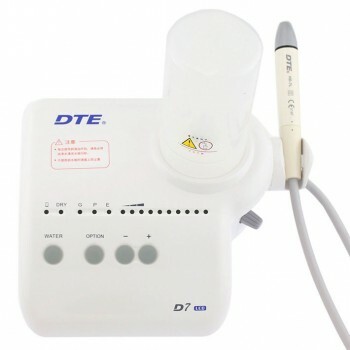 UDS-E is mainly used for teeth cleaning and also an indispensable equipment for tooth disease prevention and treatment. 2. 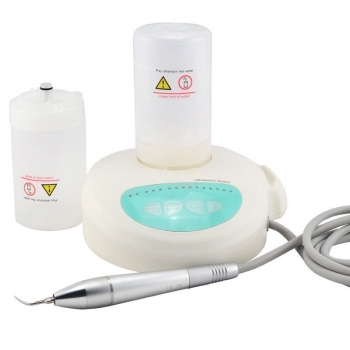 Four functions: scaling, perio, endo and auto-water supply functions. 3. 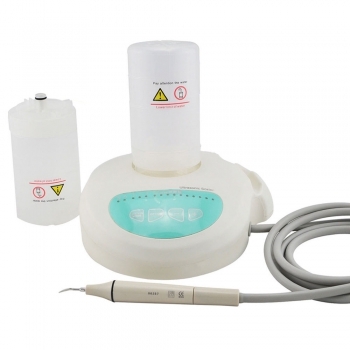 The inner water pipe is made from antisepic meteria, clinicla fluids, such as Hydrogen peroxide, chlorhexidine and sodium Hypochlorite, etc, can be used perfectly under the mode of anto-water supply system so that the performance of perio and endo is improved dramatically. 4. 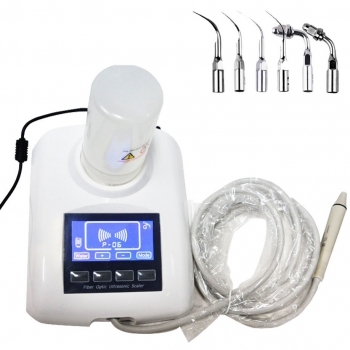 The handpiece is detachable and can be autoclaved to the temperature of 135 ℃ and the pressure of 0.22MPa. 5. Automatic frequency tracking ensures that the machine always works on the best frequency and performs more steadily. 6. 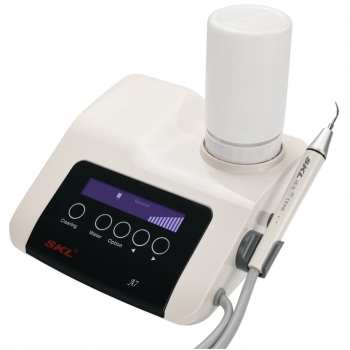 Control by PC, easy operation and more efficient for scaling. 7. 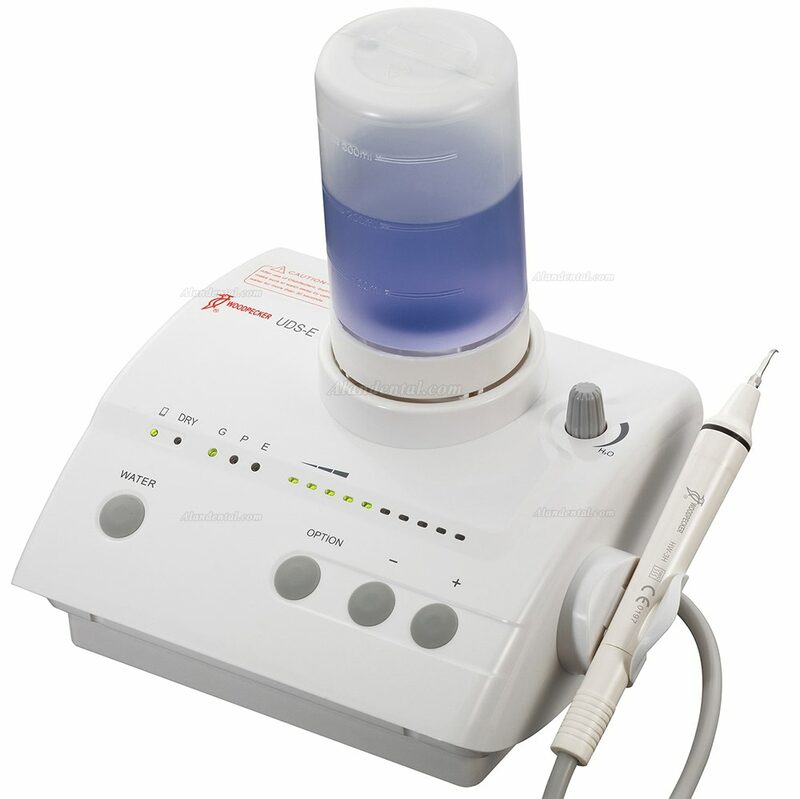 Ultrasonic piezo scaler is composed of electrocircut, water way and ultrasonic transduce. 8. The device has been tested and homologated in accordance with EN60601-1-2 for EMC. 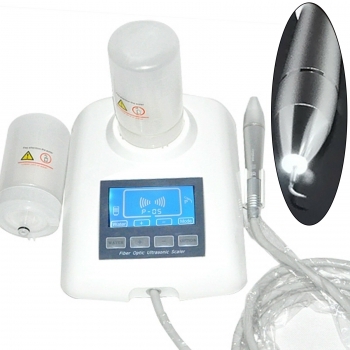 This does not guarantee in any way that this device will not be effected by electromagnetic interference. 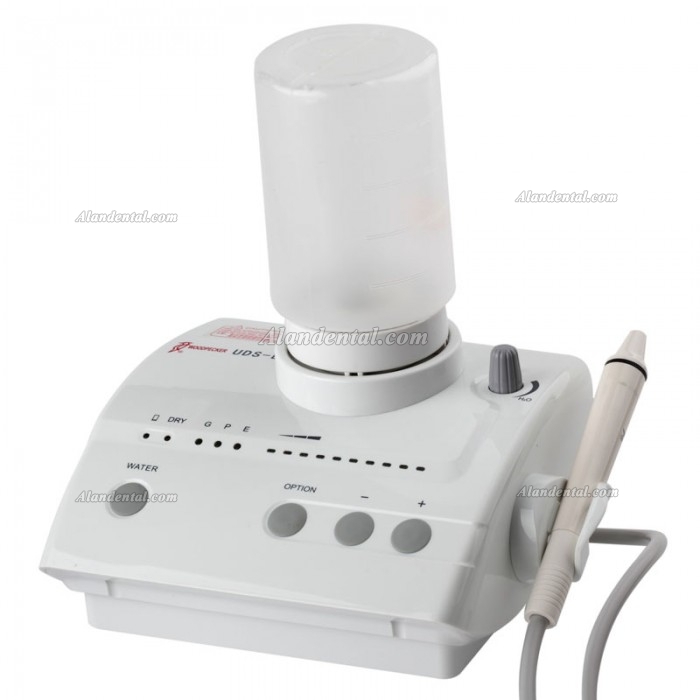 Avoid using the device in high electromagnetic environment. 9. 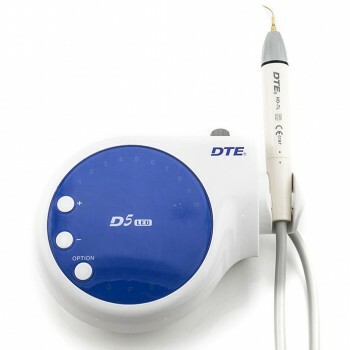 Compatible with EMS HANDPIECE and TIPS.